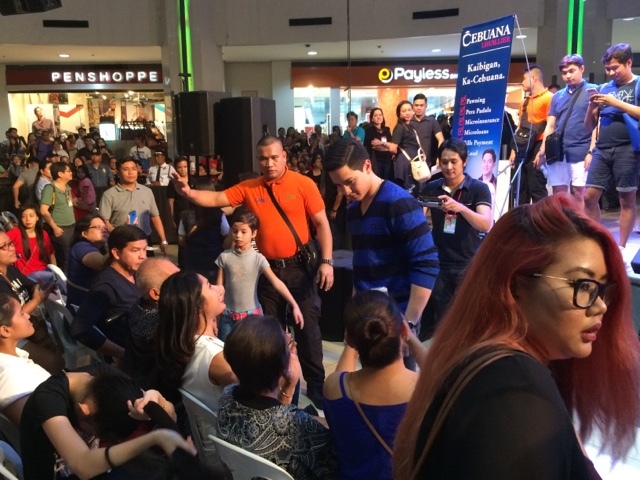 It was a fun evening to meet the man of the hour Alden Richards. 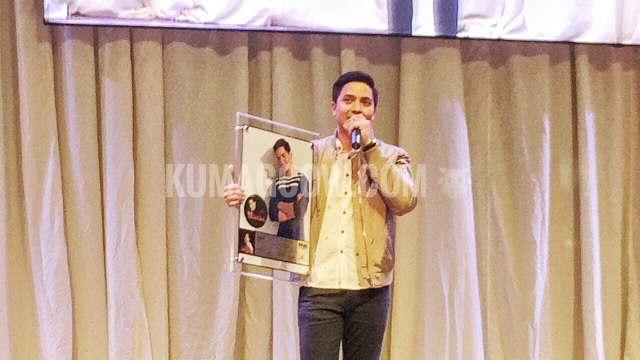 He's been very blessed and he just recently got news that his album "Wish I May" under GMA Records just reached the 9th and 10th Platinum award which means he's reached the Diamond Record Award status in just less than a year after this was released. 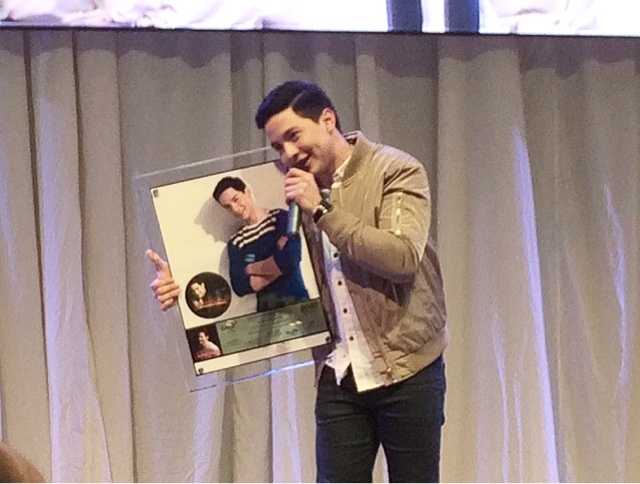 It's a feat that only a few artists have been able to reach and the young hearthrob recognizes his throngs of fans, the AlDub Nation, and even those who don't belong to these clubs as the ones who made this a reality. 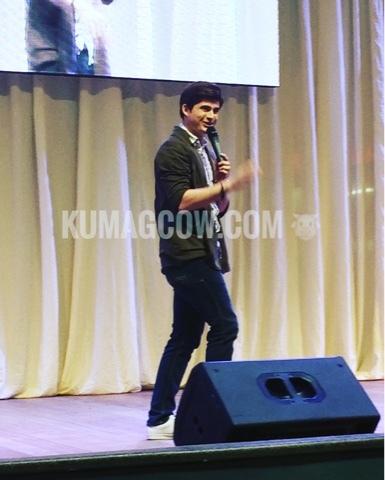 During the recent launch of his second album called "Say It Again" at Market!Market! he was able to spend a couple minutes to thank everyone who helped him to get where he was today. GMA Records also started the show by showcasing the roster of their talents starting with good looking OZ HK crooner James Wright, who was so good by the way! And also T.O.P. 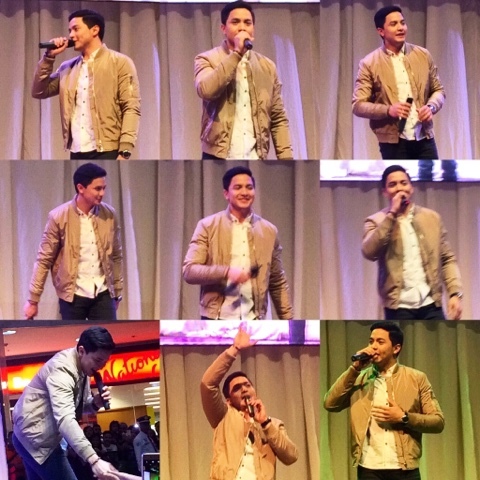 (TOP One Project) which made the fans scream even more before Alden came out to sing for everyone that evening. I noticed they've really improved over the past few months and got this dancing and singing numbers to a T. They have some really great dance songs too which have also impressed their fans in the event that evening. 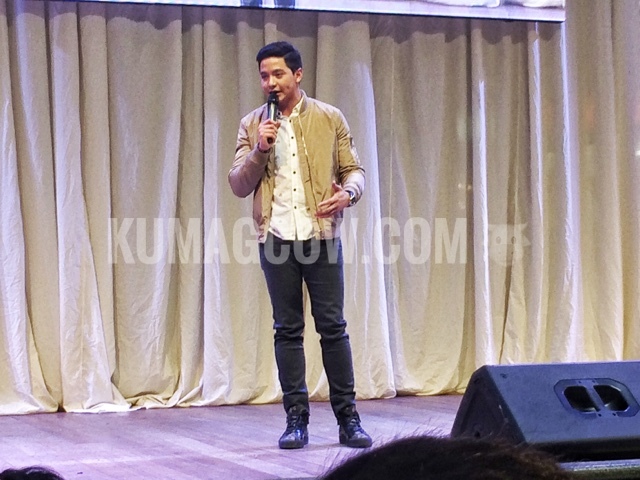 Alden has achieved so much in a short time but what I love about him is that he stayed so humble and saw to it that he still would be able to personally thank everyone who helped him get that far. I was too shy to approach him earlier because I knew these big events would make him so busy but he went out of his way to shake my hand and say thanks. I know, it probably would have freaked some people out but for me, seeing him do those little things are very admirable. He doesn't put fame into his head, also does a lot of charity work on the side and stayed family centric even if he's working so hard these past few years. 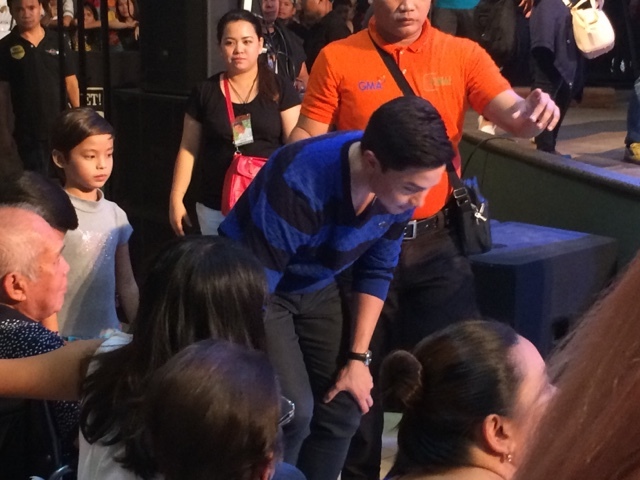 After the chaotic show, I saw how Alden was after he got surprised by his family and grandfather who sat in the front row. He was a little emotional too because his Grandpa was crying seeing him on stage, so he had to stop a couple of times while singing just to tell gramps not to cry, it was so heartwarming. You'll also be seeing (online and offline) in a couple of days the new music lyric video they made for one of the songs in the album. 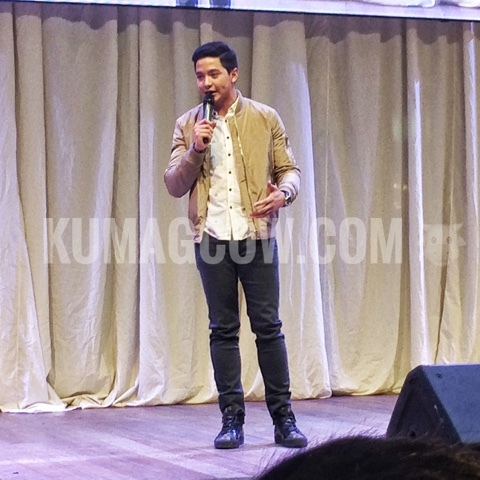 Alden even had a couple of dance songs in the mix and it seems he's trying to do genres aside from ballads. Make sure you support Alden Richards too by purchasing the album through online streaming sites, or grab the physical copies through leading record bars nationwide! 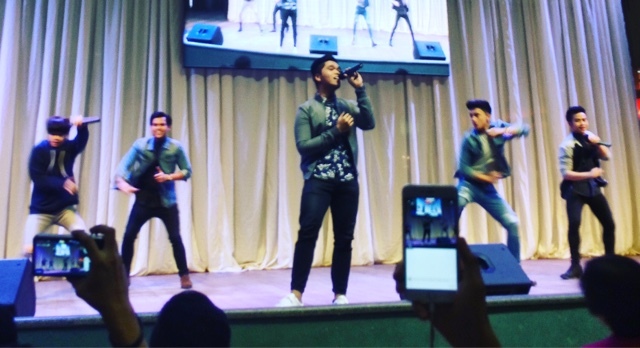 I'd like to take this bit to thank GMA Records, GMA Social Media for having us. 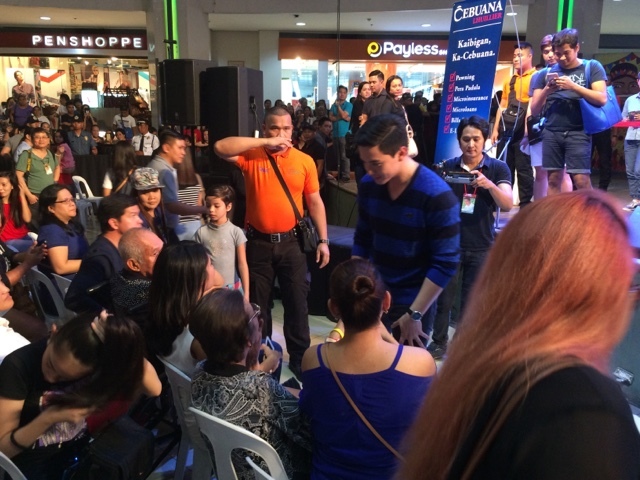 Thank you also Alden for still being so nice and humble as always. I'm sure you'll sell these lovely albums like hotcakes!